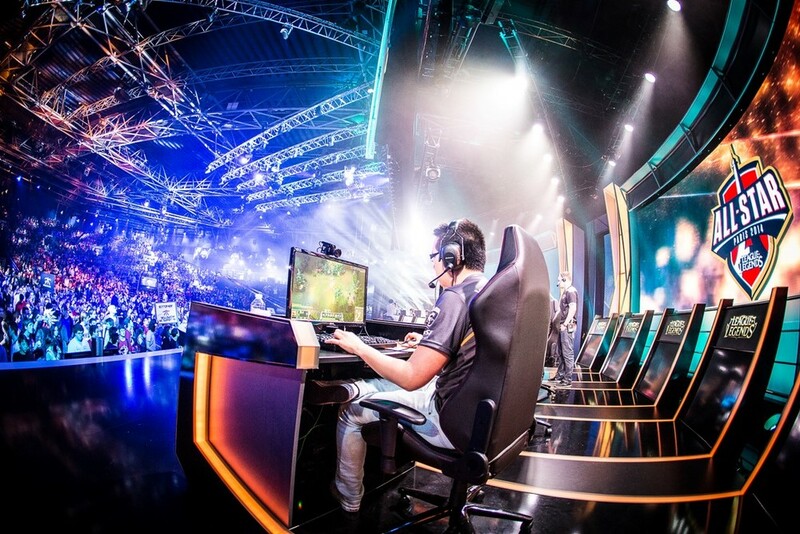 So What Is eSports Really About? People like to watch people play games. This has been true since the dawn of mankind, so it should come as no surprise that every schoolyard "game" has turned into a massively generating enterprise with huge broadcast syndication and viewership. Baseball, basketball, ping-pong, billiards, shuffleboard, you name it. Just look at how many Olympic sports there are. Some are physically demanding, but others are not (I'm looking at you darts and snooker). eSports is about democratization and access. Anyone with an internet connection can play, and there are hundreds, if not thousands of games with large, vibrant communities. If you wanted to be a professional tennis player, you would almost certainly need to start at a young age, have world class instructors, be physically gifted, and be wealthy enough to afford it all. Video games are the opposite. It's a level playing field, and thanks to the broadcasting capabilities of the internet, everyone is watching. League of Legends - League of Legends is a MOBA, which stands for multiplayer online battle arena. It's a fast-paced, 5v5 adrenaline-fueled game of chess. It's also arguably the most popular title on this list with over 70M global players and 30M playing daily. Counter-Strike - A first-person-shooter that originally launched in 1999 and has been a force ever since. The most recent edition, Counter-Strike: Global Offense, launched in 2012 and has paid out millions across hundreds of tournaments. DotA 2 - Another MOBA, DotA stands for Defense of the Ancients and it's in the same genre as League of Legends. It isn't the most popular game nor is it the most viewed, but it has managed to be the most lucrative. Almost all of the top earners in eSports are DotA players. The most recent prize pool was $18M, hosted by gaming giant Valve in Seattle just a couple weeks ago. StarCraft - The original StarCraft, originally founded in 1998, dominated the eSports scene in Korea for a decade and is still very popular today. Many in Korea consider it to be a national sport. The game is a real-time military strategy game that requires a notoriously high degree of skill. The South Koreans have a stranglehold of the game as nearly all top players are Korean. There are many other popular games such as Call of Duty, FIFA, World of Warcraft and Halo. The interesting thing is that the list is always changing and there are smaller communities for every kind of game you can imagine. What Has Helped Enable the eSports Industry? Zhihao Chen, age 24, has raked in $1.2M in DotA 2 prize money alone. That doesn't include sponsorships and other lucrative deals. Other players make a surprising amount by gathering followers on Twitch. Considering that many pro gamers are quite young, typically age 18-27, making a few thousand dollars per month is significantly higher than many "real jobs" at their age. Well-funded officiating bodies form the basis of competitive play. The biggest tournament, The International 2015, is a DotA 2 tournament that Valve hosts in Seattle's KeyArena. The arena holds 17,000 people and the total prize pool was $18M this year. 16 teams competed for the prize money with almost half going to the winner. Keep in mind, that is a higher amount than the Super Bowl ($10M), The Masters Golf Tournament ($9M) and the Tour De France ($3M). Major League Gaming (MLG) and Riot's League of Legends World Championship both pay out respectable sums as well, $6.8M and $6.4M to date, respectively. Time will tell, but expect everything to trend up and to the right. There will be more tournaments supporting more games, prize pools will grow, more brands will jump into sponsorships, and viewership will continue to rise. As the industry matures, game mechanics will improve and become more conducive to competitive play, and there will be tighter officiating and regulatory oversight. It is early days but I for one am optimistic.